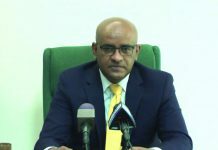 Opposition Leader, Bharrat Jagdeo has once again called on Government to demonstrate respect for the Constitution of Guyana. 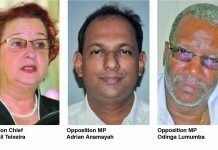 While noting that the A Partnership for National Unity/Alliance For Change (APNU/AFC) Administration has done nothing but frustrate the timeline for hosting General and Regional Elections, which is constitutionally due in March 2019, Jagdeo on Thursday that the Government continues to use delaying tactics. He said that there is a possibility of extending that deadline but only if there are steps taken in “good faith” by Government to uphold the Constitution. “If I saw good faith movement on their part [we will extend the deadline] but right now they’re ignoring everything… If the President say we are going to start the preparations for elections and tell the Commissioners that represent the Government at GECOM to stop delaying GECOM from moving forward… If they’re saying that there is a genuine effort to meet the constitutional deadline then it would be unreasonable for us to say “alright, you miss it by a week or two weeks”, that we will make a big issue about it. But there is none of that now, nothing from their side. 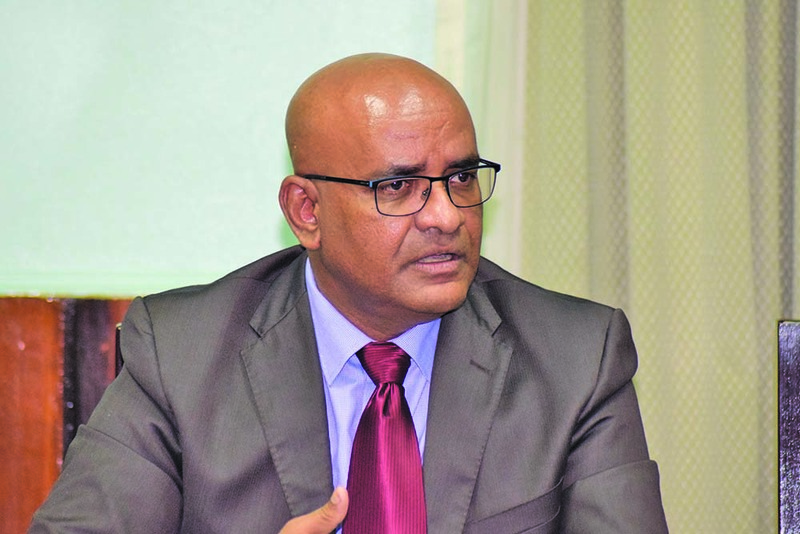 In fact, they’re actively encouraging the breach of our Constitution,” Jagdeo said. 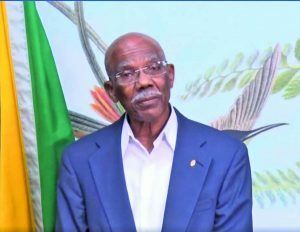 The Opposition Leader, who was at the time speaking at his weekly press conference on Thursday, told reporters that there is no room left now to further talks between himself and President David Granger. “The President has no interest in meeting and at this point in time, I have absolutely no interest in meeting with him too. What are we going to meet to discuss, he keeps ignoring that the no-confidence [motion] was passed and that it is not business as usual. His entire Government goes out to argue that it’s business as usual. How do you break through that mindset,” he stressed. Jagdeo further pointed out that the Legislature, through the Speaker of the National Assembly declaring the passage of the motion, and the Judiciary, through the acting Chief Justice’s ruling upholding the validity of the motion, have already pronounced on the matter paving the way for the coalition to resign and call elections. But, he noted the Government continues to delay this process by using the court system. The Opposition Leader stated that they are now awaiting the proceedings filed earlier this week in the Appeal Court, asking it to strike out the High Court’s January 31 decision. He is optimistic that the courts including the Caribbean Court of Justice (CCJ), where it is anticipated these matters will end up, can expedite the hearings in time to meet the March 19 deadline for the hosting of polls. “[The] international community has weighed in on this matter, they said “respect the Constitution” and they’ve call on the courts to expeditiously hear the matters. I believe if the Court of Appeal does this, that this will reach the CCJ in a short while and I’ve seen how the CCJ has moved when elections are pending. They’ve done that before and acted in a very, very expeditious manner. So I have no doubt at the CCJ level that this matter will be dealt with expeditious but I do have some concerns about them trying to delay pass that date by not filing the [Compton] Reid appeal early and that is why we have to press them,” Jagdeo contended. The Opposition Leader posited, when asked, that the PPP/C will comply with whatever the CCJ rules. 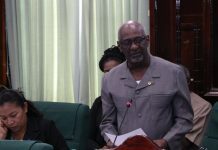 In the same breath, however, he insisted that Government should not wait until then to start preparations at the level of the Guyana Elections Commission (GECOM) to host elections as he reminded that time is winding down. “If the CCJ rules differently, then we will have to comply with that but what if the CCJ, and we believe that the CCJ will, upholds the [High Court] decision and the timeline has been ticking. So you will wait until then to start talking about elections? You would’ve been in violation of the Constitution… This is just another excuse for the Government to say they have a bit more time but you have to put the country first and you have to start the preparations now,” he stated. According to the Opposition Leader, GECOM can make the March 19, 2019 deadline if they accelerate the June proposal and also raise the threshold for procurement. He added too that condensed training can be done continuously to ensure that persons are prepared. 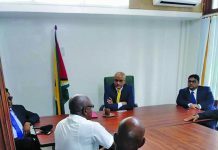 Jagdeo reiterated that once the March 19 deadline passes, the Government becomes illegal and that places Guyana in unchartered territory; with grave implications both domestically and internationally. Should this happen, the Opposition Leader assured that the PPP/C will not resort to violence but the Opposition can be very “forceful” in its argumentations and protests.